Just a bit of blue in this one – it’s nearly black and white. 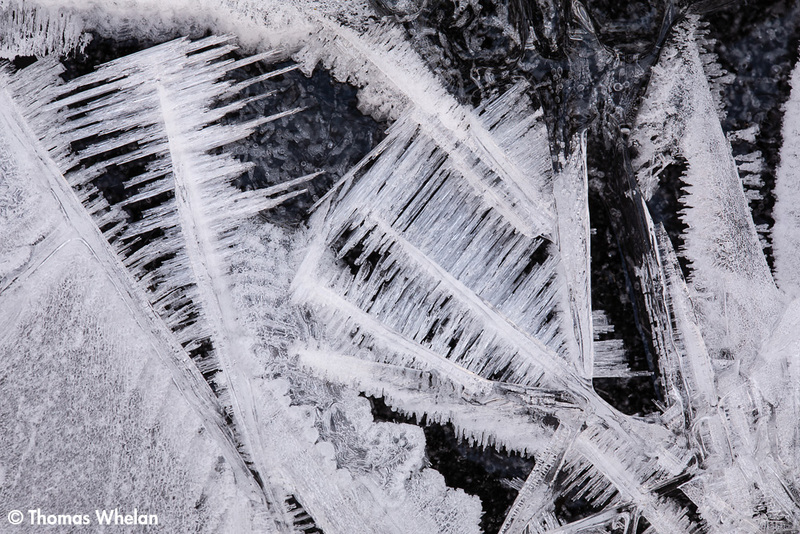 The spiky, comb-like crystals formed on thicker pieces of ice. No black and white conversion this time – I like the dark blue look. The bit of sun lends some shimmer to the stars – and I left this in color, instead of converting to B&W as I often do for ice images. The scene is perhaps six inches wide. 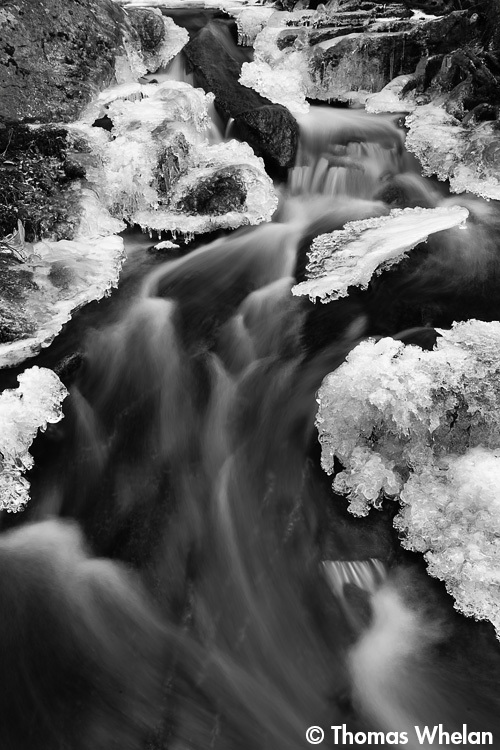 The ice on the surface of the brook formed, melted somewhat during the day, and froze again at night. 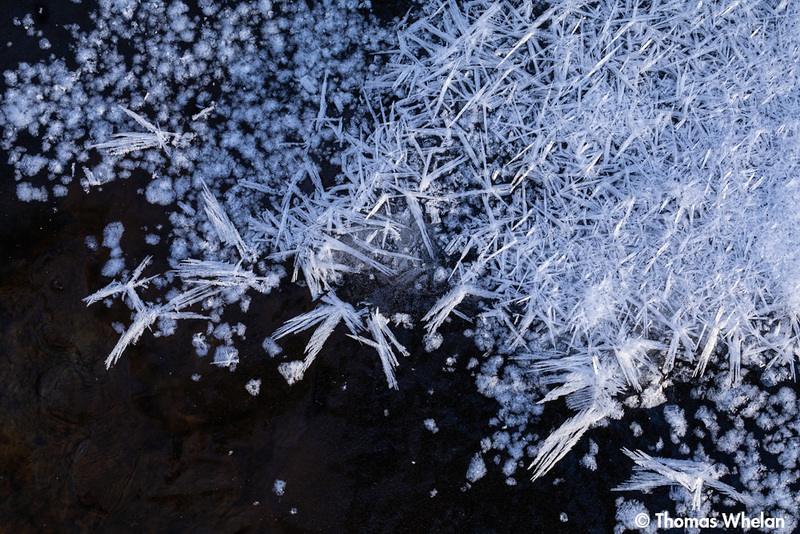 The second freeze created the fine crystals. If you live in Massachusetts, Spirit Falls is in Royalston, in the Trustees of Reservations property Jacob’s Hill. It’s a mile or so from the trail head to the falls. 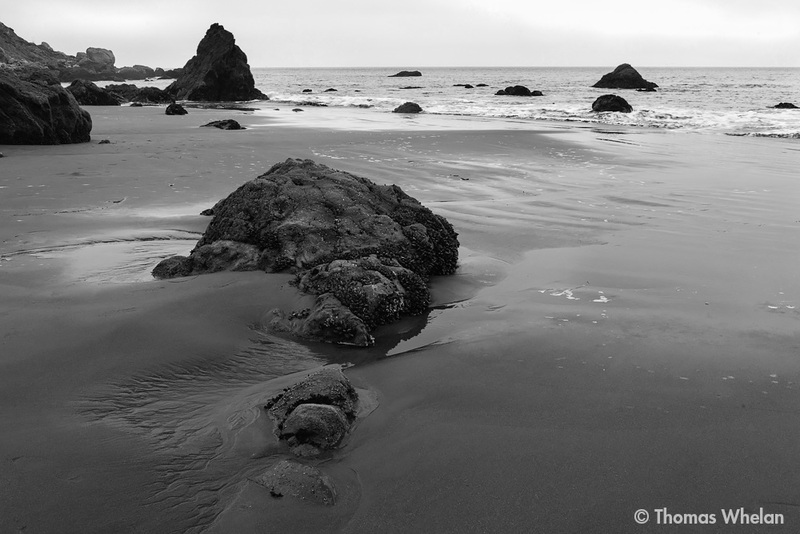 This year I rediscovered beach scenes – it’s been a long time since I’ve photographed them. Muir Beach and Rodeo Beach were eye opening (and very foggy, as was my visit to the oaks in Helen Putnam Park). It was a good year for finding beautiful flowers, but not so for insects. As the year winds to a close, I’m wishing for colder weather and new frost discoveries. Thanks for all of your thoughts, comments, and likes – have a happy holiday season. It’s complex and curious when you get close to it. As read about how to describe this pretty thing, I found some of the special terms for the floral parts of grasses. The slender spike on the top is the awn. With more time with the botanical diagrams I’ll be able to tell a lemma from a glume. A USDA plant guide I read says that if you want to harvest the seed of little bluestem you need to “debeard” it (remove the tufts). 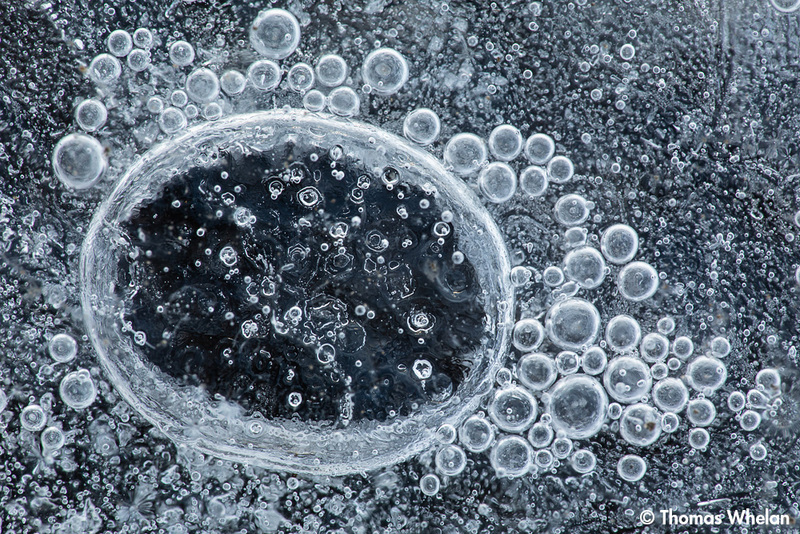 I used high magnification (3x to 4x) and a wide aperture, f/2.8, for minimal depth of field and an abstract look.